Input text: the world is in the sky. 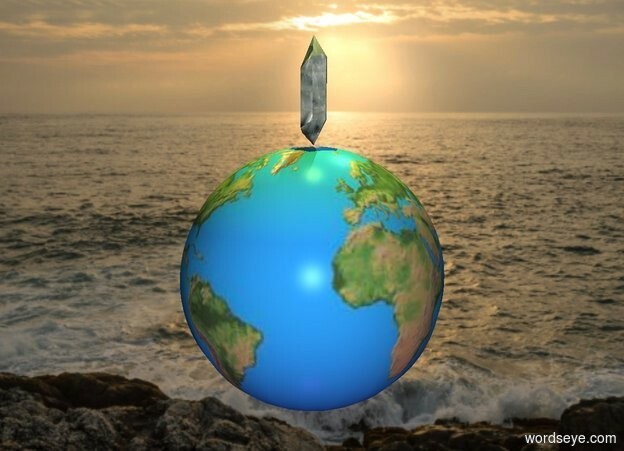 a crystal is on the world. a yellow light is above the crystal. a purple light is below the world.